Is it a bird? Is it a plane? 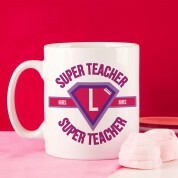 No, it's a...Super Teacher! 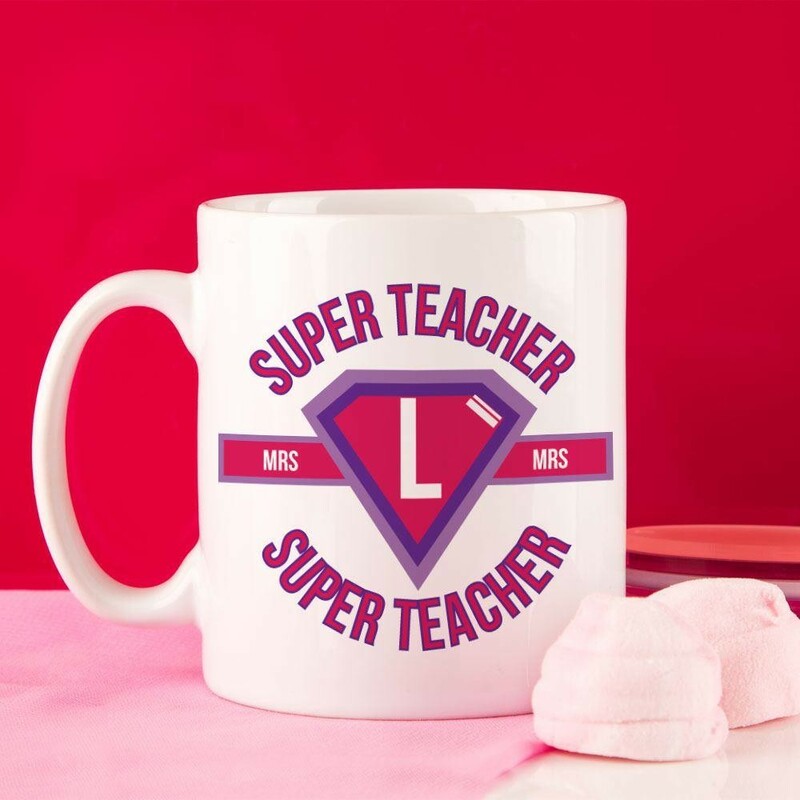 Surprise your favourite teacher with this super gift that she can use all year round. 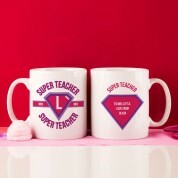 Designed like a superhero's badge, the pink & purple design is personalised with her title and first initial on the front - surrounded by the "super teacher" text. 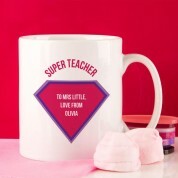 The badge on the back has space for your own personal message to her.